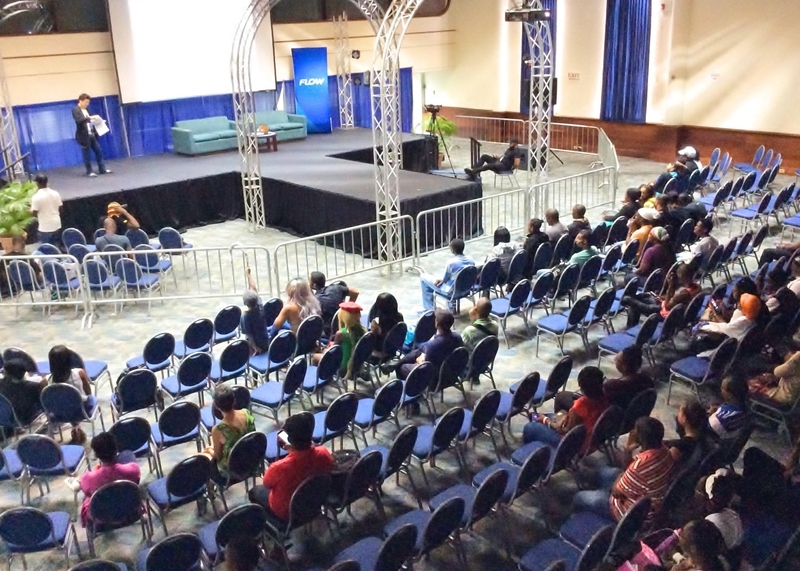 Interest in Japanese anime is very high in the Caribbean region, with the AnimeKon: Lim8tless taking place at Sandiford Centre in Barbados for the 8th time. Digital Hollywood University Graduate School’s associate professor Takahashi and assistant Michael Blanse from the Tokyo Kanda Surugadai main campus attended the event, along with APIC’s Director and Secretary General Araki. 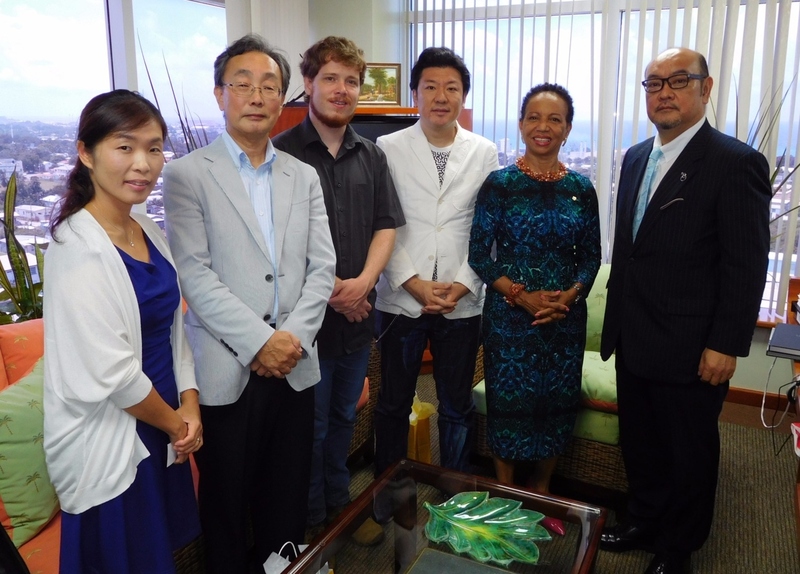 Director Araki met with the local Japanese ambassador and members of the University of the West Indies during the visit. The event covered anime characteristics particular to Japan on the 2nd, and on the 3rd covered the people working in the anime business. The beginning of the event started with impressions of anime characters and a ramen-eating contest, later on associate professor Takahashi’s lectures on anime characteristics and anime business, and ended with a cosplay contest. The auditorium was full of people and excitement, with most people participating in the cosplay contest. Approximately more than 100 people visited the venue each day, showing the high level of interest in Japanese anime in the region. 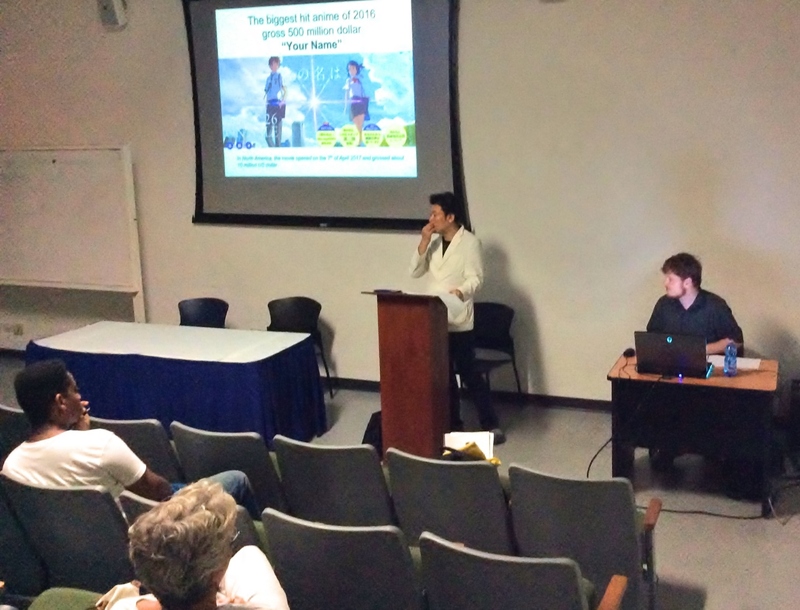 On the 3rd, associate professor Takahashi gave a two-hour presentation to students in the arts faculty of the University of the West Indies Cave Hill campus. Around 40 people attended his lecture, with many curious about anime and the industry. However, the faculty of the arts is focused on dance and film, with not much focus yet on anime. 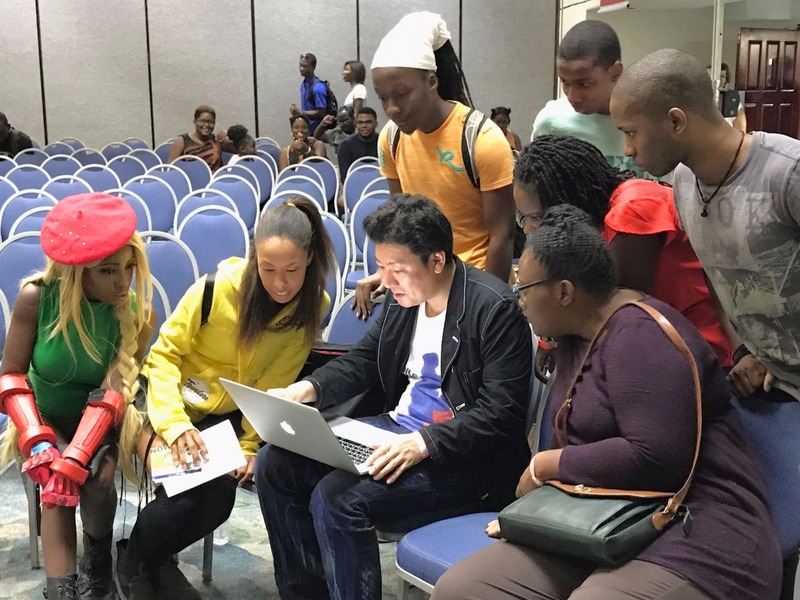 On the final day, associate professor Takahashi visited President Barritteau of UWI Cave Hill and gave a short report about his visit to Barbados. 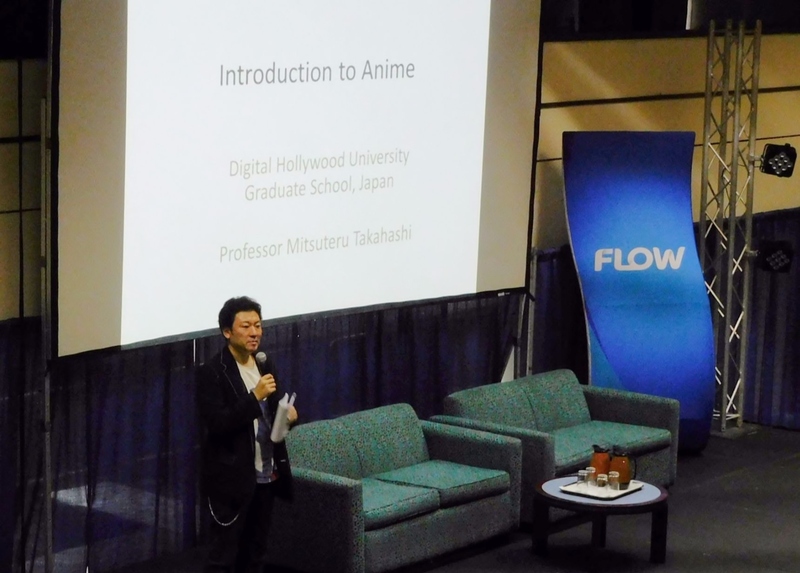 President Barritteau remarked that the development of anime in Barbados is still continuing, and she would like to have professor Takahashi come again to UWI to talk more about his field. Associate professor Takahashi’s visit was covered by the local newspaper, as well as broadcasted on live TV in the morning (6 to 8 am) by the government channel where professor Takahashi and APIC’s Director and Secretary-General Araki were interviewed, talking about the purpose of their trip and APIC’s activities.